Please take a look at the agenda and speaker list for our conference (8-10 May 2019) in Cardiff. It actually speaks for itself….. full of great, relevant topics and experienced and inspiring presenters. We really hope that you are planning to attend and have let your colleagues know about the event. Perhaps you work in Quality Assurance and need the functions that you support to have a better understanding of GxP records management and archiving? Let them know about the conference. But why should you register NOW? Firstly, our early-bird prices end on March 29….. yes, the same day as Brexit!! So if you want to secure the best price for your registration, you need to register by March 29th. 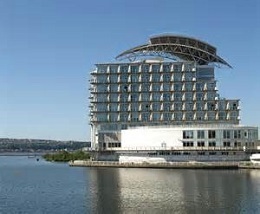 Secondly, we have an allocation of bedrooms at the conference hotel for which we have secured a discounted price. This price is only available by booking accommodation as part of your conference package on our website. The cheapest room on the hotel’s website is currently £154 (including breakfast)….. our price is £129! However, any unsold bedrooms are being released back to the hotel for public sale on March 29th. If you’ve not registered for the conference by then, you may not get a room at the conference hotel and even if you do, it will likely cost you a higher price. So, please do not delay….. get your registration in to us today. See you there!